The central question of social evolution is how we can understand the rise of complex societies with extensive cooperation among millions (and more) of people. In less technical terms, what are the origins of civilizations and empires? I couldn’t help but think about this question during my visit to the Cahokia Mounds. 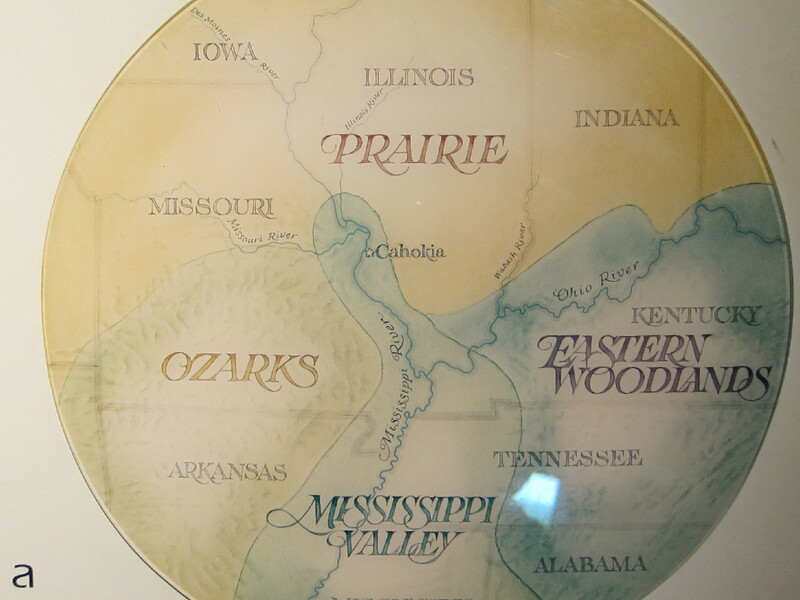 Why was the largest-scale society in North America located in southern Illinois? Why did it arise around 1000 CE? As readers of my books know, my favored explanation for the evolution of social complexity is the theory of cultural group (better, multilevel) selection. 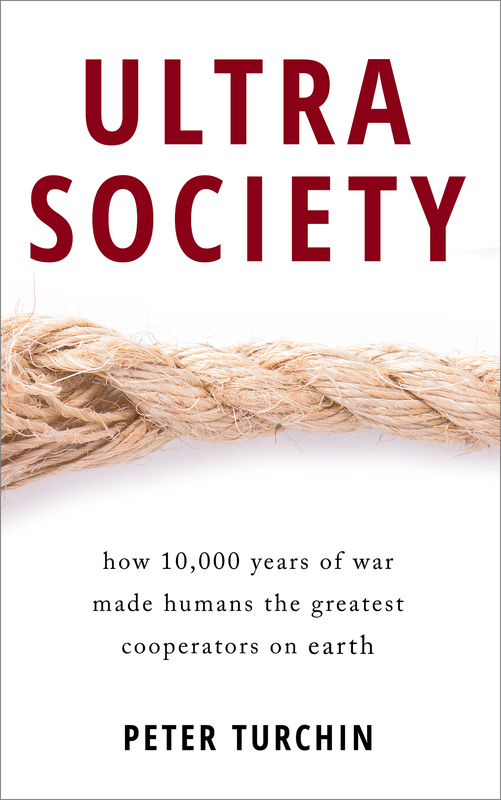 Since throughout most of human history competition between societies usually took the form of warfare, we need to look to the patterns of warfare to understand the rise of civilizations. Take the case of the Sinic (Chinese) civilization. Over the last three thousand years the cradle of the Chinese civilization, the Yellow River Basin, has been unified by one empire after another. There is no other region on Earth that could rival the Yellow River Basin in the intensity of ‘imperiogenesis’ (proportion of time that it found itself within a large empire). 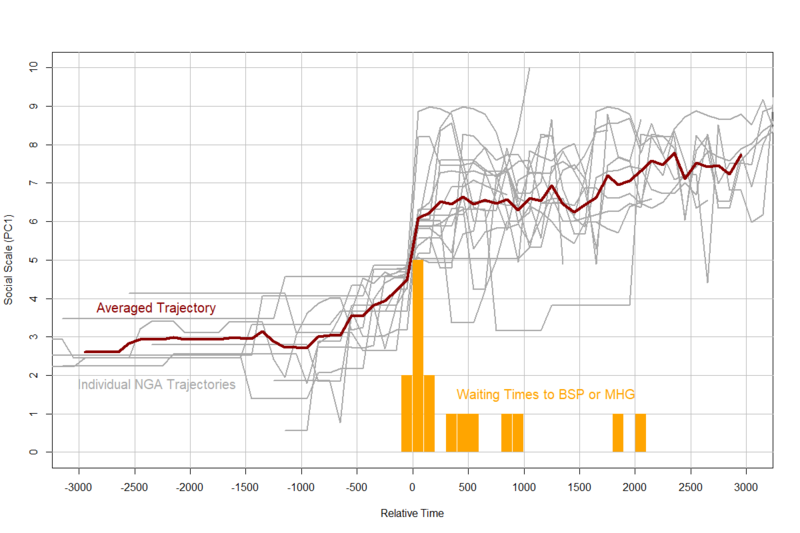 In a series of publications (for example, this one) I have argued that the explanation of this remarkable pattern has to do with the very intensive warfare between nomadic pastoralists (Hunnu, Turks, Mongols, etc) and the agrarian Chinese. This is why China was typically unified from the North (and most frequently from the Northwest) – it was the military pressure from the Great Eurasian Steppe that selected for unusually cohesive North Chinese societies, which then would go on to build huge empires by conquering the rest of East Asia. Steppe frontiers are crucibles of empires; you add a major river and you are practically guaranteed to have an imperiogenesis hotspot. Examples are numerous: the Nile, the Tigris-Euphrates, and the Indus are the usual suspects. But the first empires in sub-Saharan Africa (Ghana, Mali, and Songhai) arose on the Niger River where it flows through the Sahel. This correlation has been long noted. Karl Wittfogel attempted to explain this observation with his theory of ‘hydraulic empires’, based on the control of irrigation by state bureaucracy, but this theory has been empirically disproved. For example, the major river of eastern Europe, the Volga, was the cradle of a number of empires (Bulghar, the Kazan Khanate, and, most notably, Muscovy-Russia), none of which relied on intensive irrigation. Nor did the Chinese along the Yellow River. In other civilizations irrigation was typically a local, rather than an imperial concern. Most likely, the river effect is due to a combination of good environment for intensive agriculture on alluvial soils and the ease of communications (because transporting goods on water was an order of magnitude cheaper than carting them on land). Whatever the causal factors, let’s go back to the empirical generalization, that there is something special about a major river flowing though a steppe frontier that predisposes such places to engender complex societies. If you were to look within the American landmass north of Mexico for a spot that would fit this description best, where would it be? Incredibly, southern Illinois. This is eerily similar to China, which was invariably unified from the North, and most usually from the Northwest. As a result, Chinese capitals were always located on the Northwestern frontier with the steppe, not in the Yangzi River valley, which is much more centrally located and has much more productive agriculture. 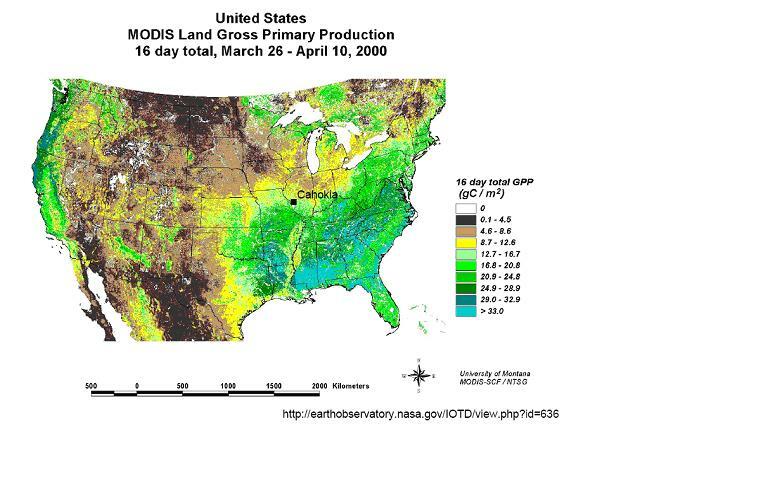 In the Mississippian culture, similarly, the greatest plant productivity is in the Southeast (see the map of Gross Primary Production above), yet the first and the largest urban center, Cahokia, is located in the Northwest, on the steppe frontier. So there are several remarkable similarities between the Chinese and Mississippian civilizations. However, I do not want to push the analogy too far. The population of urban Cahokia was perhaps 30,000 people, whereas populations of Chinese capitals, both in Ancient and Medieval times, easily topped one million. The scale of the Cahokian polity was an order (or two) of magnitude less than that of ancient Chinese empires. A closer Chinese analog of Cahokia is not the later Imperial period, but the Erlitou Culture (early II millennium BCE), which has been tentatively identified with the shadowy Xia Dynasty (which preceded a better known Shang period). Like Cahokia, the Erlitou Culture was also in the same ambiguous position of being either a very complex chiefdom, or an archaic state (recent excavations suggest that it has achieved the statehood). And we know very little about the territorial extent of the Erlitou/Xia state, just as we are unsure about how far the rule of Cahokia extended. 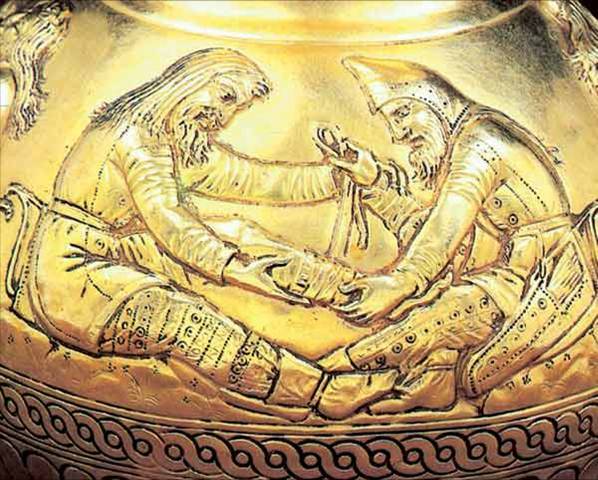 Other such ambiguous cultures include Uruk in Mesopotamia (IV millennium BCE), Egypt under the Dynasty 0 (late IV millennium BCE), and the Indus Valley Civilization (III millennium BCE). Archaeologists still argue whether Uruk, or Mohenjo-Daro, were city-states, or capitals of extensive territorial states. So Cahokia seems similar to the very first urbanized societies of the Old World. Had not the Europeans arrived in the New World around 1500 CE, perhaps the Mississippian culture would also rise again – and fall again, and so on – in a typical sequence of rise and demise that was the historical pattern in Egypt, Mesopotamia, India, and China. However, the urbanized Mississippian culture arose much later than its Old World analogs. Why couldn’t a complex society evolve in North America before c.1000 CE? 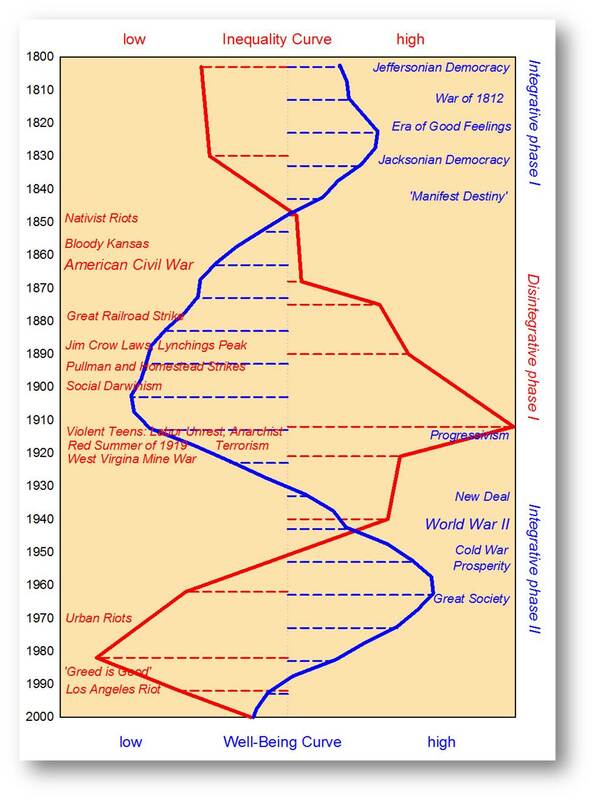 I think there are two factors that determined the timing of the rise of the Mississippian civilization. First, it was only during the first millennium of the Common Era that intensive maize agriculture developed in the Mississippian region. As we know well, a productive agrarian base is a necessary condition for large-scale, complex societies. This is the standard explanation that you will see in archaeological books and articles. But intensive agriculture is only a necessary condition, not a sufficient one. Many regions on Earth had agriculture, but did not develop states until they were colonized by European Great Powers. The second factor, I would argue, was the diffusion of bow-and-arrows into the Mississippian region from the northwest during the second half of the first millennium. The introduction of this novel military technology must have led to more destructive warfare in the Mississippian region, leading to more intense cultural group selection, and then on to larger-scale societies. Perhaps people of the Oneota Culture, who lived in the Prairies to the northwest of Cahokia, were the functional equivalent of the steppe nomads northwest of the Chinese? Of course, archers on foot in the American Great Plains are a far cry from the mounted archers of the Great Eurasian Steppe. They were probably a much lesser threat to agrarian societies. But the Mississippian polities were also of a much lesser scale than the Chinese empires. It is a reasonable proposition that similar evolutionary mechanisms were operating, but on a much reduced scale in North America, compared to the Old World. I like your posting about Mississippian cultural groups, however it left me thirsty to know whether any of this deals with cultural evolution at all! Where is the evidence that certain cultural characteristics empower a Mississippian group to defeat others, and what exactly are these characteristics? It could just be that certain cultures are historically more aggressive and invest more in imperialism. Or, it could be that group welfare and belligerence are related to both history (like “contingent competition” in ecology) and local environmental conditions. The question then is: where is the evidence that information, rituals, or whatever are transmitted between people within a Mississippian cultural group that explain the observations you present? Is there any evidence that when successful Mississippian groups (in terms of war) colonize new territory, that their offspring polities share the same (Darwinian fit) cultural traits as the mother group? I think that the more parsimonious explanation (i.e. 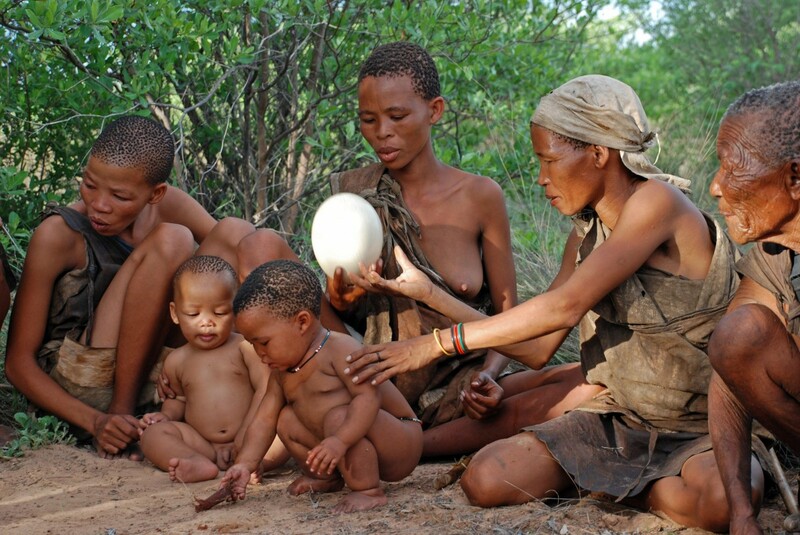 ecology and not evolution) should be favored in the absence of concrete evidence to the contrary. Michael, I don’t see why an ecological explanation (by the way, what is it?) is more parsimonious than a cultural evolutionary explanation. We know very little about how Cahokia functioned. But arguing by analogy with historically attested cases, the evidence for the key role of such cultural traits as prosocial norms and institutions is overwhelming. One of my favorite examples is the Axial Religions, which made large-scale societies much more cohesive and increased their capacity for collective actions. Correspondingly, these cultural traits had high fitness, since they were very good at spreading – by conquest, by proselytizing, and by imitation. With the MIssissippian culture our knowledge is limited to archaeological proxies. But even with such limited data, we know that Mississippian culture and institutions spread from Cahokia to the rest of the huge region. For example, both mounds and large public spaces that must have been used in large-scale rituals show such a pattern of spread. As far as I know, we don’t know whether this spread was carried by conquest or imitation, but in either case that would be an example of cultural evolution. To add to my previous reply – I admit that my case is circumstantial. However, what we know about Cahokia is a very good fit to the general pattern observed in Afroeurasia. I doubt that it could have happened by chance alone. So there must be general principles operating. What they are is a very interesting question! I have been reading your posts (here and elsewhere) for a couple years now, with great interest. It was, however, about two decades ago that I left southern Illinois. So imagine my shock to read you discussing an application of your theories to a spot not far from where I grew up. I can say that most people in southern Illinois (back then, anyway) had little to no knowledge of Cahokia Mounds. Next time I am back there I will try to make time to go take a look. Is there much active archaeological research going on related to this culture? I don’t know how much is left for them to work on. I know how you feel. The first time I was through St. Louis I did not even realize that I was right next to such an interesting site (although I want to reiterate that you can’t see much ‘on the surface’). The Mississippian is one of the most under-appreciated archaeological cultures. However, this state of things is rapidly changing. There is a lot of archaeological research in this area (not just Cahokia, but more broadly southeastern US). My co-worker David Anderson (U. Tenn.) is one of people actively working on it. Another one is Tim Pauketat, who has a popular book out on Cahokia, which you might want to check. I have not read it, so I cannot recommend it (and Pauketat wrote a more theoretical book on ‘archaeological delusions’ which is a rather silly anti-social evolution polemic, but his empirical work is generally respected). Great news. I understand that we have learned a lot about Mayan history in the last few decades as well. Perhaps in a few years the history books kids study in western Hemisphere nations will be able to actually include some western hemisphere history prior to 1492. Your analysis of the Mississippian civilization’s Cahokia florescence on the northwestern frontier and the comparison of imperiogenesis in China is fascinating and brilliant. I am delighted to discover your work. Here are a few things I wonder about: the likely entrada of Mesoamerican material/ideological culture-bearers around 800 CE from Olmecan or post-Olmecan cultures from Mexico. This would have been the beginning of maize agriculture in North America. (This is still not widely accepted by Americanist historians, but there seems to be enough evidence, especially the mythosemiotic and material cultural evidence. Francis Jennings’s solid work a good source). With maize comes the caloric surplus that helped spawn the high civilizations of Mesoamerica—probably a necessary but not sufficient cause. Rank, hierarchy, and power-aggluntination are enabled by caloric surplus, but have an origin apart from the materially ecological. Yet once mythologized and symbolized, inequality, power, and warfare trend toward imperiogenesis. It may have been a combination of the tradition of empire extension and survival that led to the original Mesoamerican emigration up the Mississippi (via a four-day sea canoe trip across the Gulf of Mexico, aided by the Gulf Stream). The Mesoamericans discovery and exploitation of the lush alluvial zones of the lower Mississippi gave them a toehold. When they reached the loess bluffs of Natchez to their Emerald Mound site, they established a colony (which was also the last to disappear, aided by their loss in genocidal war with the French). The big Mississippian civilization at Cahokia was very different that the kind of settlements and cultures that arose on the lower part of the river. There, including the Mississippian colony at Natchez, the hydraulic power of the river’s natural spring inundations over its natural levees allowed (in utter disregard of Wittfogel) the multiplication of small, affilitated and semi-independent “nations,” as the early missionary and explorers reports called them. Often, there was a twinning dynamic that took place: tribal nations (for the social organization was originally hunter-gatherer/small scale chiefdom) would form temporary alliances, probably for kin/material exchange, yet these would often end in warfare and assimilation or destruction of the guest nation that had taken up an abode in the territory of another tribal nation. 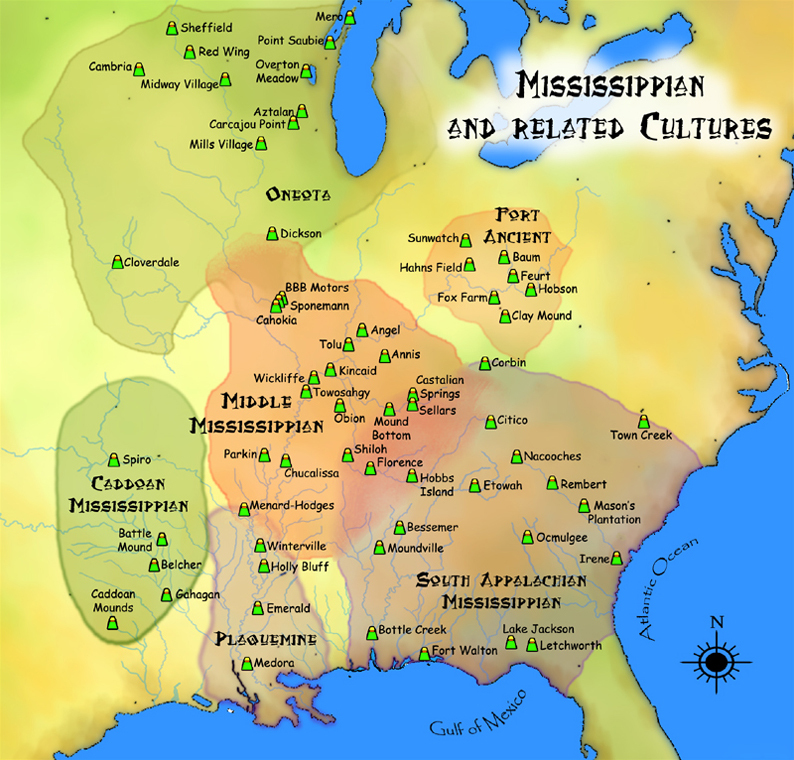 Interestingly, in the analysis of the Natchez kinship problem that intrigued anthropologists a generation ago, it is likely that the Stinkard caste of Natchez Mississippians were probably a lower status tribal nation (probably non-Mississippian) that had become twinned to the high status Mississippians. In a breath-taking development of a sort of incipient egalitarianism, or at least a re-mixing of caste and genes, the highest status caste of leaders (Great Sun family) were required to marry Stinkards. This seems unprecedented in the history of elites and their usual avarice in holding on to power and empire. Can you imagine a Chinese emperor marrying a lowly garbage worker! I suggest that this anti-imperial anomaly was derived from the biodynamic ecology of the lower Mississippi that never let human societies forget that they were merely temporary figures on the landscape. Pretence to empire was difficult and unnecessary because the fertiliy of the land and abundant fresh water made maize cultivation so easy (something that must have stunned the dry season/wet season maize agriculturalists of Mexico) that imperial ruthlessness was a waste of time. But what’s interesting is that the most complex society in the Mississippian River valley arose not on the frontier proximal to Mesoamerican influences, but at the other end of the region. This suggests that maize agriculture was only a necessary condition and that other factors operated in the rise of Cahokia (otherwise the center of the Mississippian civilization would be in the delta). I agree. The complexity of the distal end (Cahokia) may have been structurally similar to the proximal end at Natchez/Emerald Mound, but certainly the scale of Cahokia was vastly different perhaps due to the width and power of the river at that latitude (much less than at Natchez). Your triggering factor of outside aggression makes sense as the empire-inducing factor, since Lower Mississippians seemed unable to consolidate empire-sized control. My hypothesis is that the power and size of the river hydrography dominated the cultural interactions. Interesting to compare Yellow River and the Mississippi river in terms of hydrographic and flow-rate measurements. Chinese Emperors were forced to marry “uncouth” barbarian women a decent amount of time to solidify alliances (more often, they had to send some daughters over to the barbarian tribal leaders. “Chinese capitals were always located on the Northwestern frontier with the steppe, not in the Yangzi River valley”. Wasn’t Nanjing the capital for many centuries? Anyway, note that the western Great Plains had very sparse population prior to the introduction of the horse. As soon as the horse was introduced, numerous tribes moved to the prairie to hunt bison, and became strikingly similar to Eurasian nomads. But that sudden rise in the level of militry threat from the Plains didn’t cause any empire growth in neighboring areas. There was no effective oppsition to Comanche raids. Perhaps the reason empires tend to form at the periphery of agricultural areas is not the threat from the “steppe” (the term you apparently use for any open plains, since there are no true steppes anywhere near the Nile), but the regular crop failures that make people depend on large-scale food storage and good protection of their food reserves? The Aztecs had no scary nomads around, but they started a feverish campaign of empire building after the great famine of year 1 Rabbit. Well, not really. The Chinese experienced their time of troubles during the Yuan-Ming transition, but things equilibrated in the fifteenth century, and the sixteenth century was a brilliant period of the Ming Dynasty. The Southeast Indians, whom various European expeditions encountered were, apparently, direct descendants of the Mississippian culture.